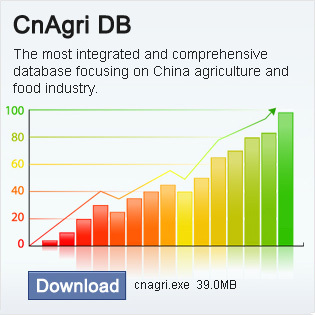 This report provides a comprehensive and detailed description of the status quo of China’s vegetable seed market, and conducts a professional estimation and analysis of the development orientation of China’s vegetable seed market. The main contents of report on China’s vegetable seed industry include: 1.an in-depth analysis of the vegetable types, cultivated varieties, and major planting types in key provinces in Segmented Market of China’s vegetable planting areas, i.e. south China, Yangtze River Area, Southwest China, Northwest China, Northeast China, and Huang-Huai-Hai and Bohai Area; 2. an in-depth analysis of seed market and corresponding leading enterprises of the Segmented Markets of China’s major types of vegetable seeds, i.e. tomato, cucumber, egg plant, pepper, Chinese cabbage, radish, wild cabbage, watermelon, melon and sweet-waxy maize; 3. an introduction of the development status quo of domestic and overseas vegetable seed enterprises and their leading products in the market; 4. an analysis of China’s vegetable seed import & export; 5. the future development of China’s vegetable seed industry. Industry insiders will have an overall understanding of China’s vegetable seed industry development by reading this report, and thus be able to conduct corresponding decision-makings in a more accurate manner. 6.1.2 Profile of Seminis Seeds (China) Co., Ltd.
6.2 Syngenta--- Syngenta Seeds (Beijing) Co., Ltd.
6.3 DuPont---Tieling Pioneering Seeds Research Co., Ltd.
6.3.2 Profile of Tieling Pioneering Seeds Research Co., Ltd.
6.4 Limagrain Group----Hazera Genetics Agricultural Technical Service (Beijing) Co., Ltd.
6.5 Bayer Crop Science---- Nunhems Seeds (Beijing) Co., Ltd.
6.5.2 Profile of Nunhems Seeds (Beijing) Co., Ltd.
6.6 Holland Bejo Seeds Co., Ltd.----Shanghai Shimanfeng Seeds Co., Ltd.
6.6.1 Profile of Bejo Seeds Co., Ltd.
6.6.2 Profile of Shanghai Shimanfeng Seeds Co., Ltd.
6.7.2 Profile ofEnza Zaden Seeds Technology (Beijing) Co., Ltd.
6.8 South Korea Nongwoo BIO Corporation---Beijing Shinong Seeds Co., Ltd.
6.8.2 Profile of Beijing Shinong Seeds Co., Ltd.
6.9 Japan Sakata Seeds Corporation---- Sakata Seeds (Suzhou) Co., Ltd.
6.9.2 Profile of Sakata Seeds (Suzhou) Co., Ltd.
7.2 China National Seed Group Co., Ltd.
7.4 Tianjin Kerun Agricultural Science and Technology Co., Ltd.
7.6 Hunan Xiangyan Seed Industry Co., Ltd.
7.8 Wenzhou Shenlu Seeds Co., Ltd.
7.9 Zhengzhou Zheng Yan Seed Technology Co., Ltd.
7.10 Xiyou Seeds Sub-company of Shandong Denghai Seeds Co., Ltd.
7.11 Shanghai Zhondu Seeds Technology Co., Ltd.
7.12 Jiangsu Province Jiangshu Seeds Technology Co., Ltd.
7.13 Hunan Xuefeng Seeds Co., Ltd.
7.14 Anhui First Seed Co., Ltd.